Wrinkle-free, quick-set glue. 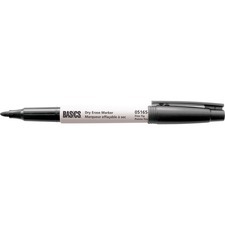 Permanent.Non-refillable.8.4 mm x 10 m.
Quick-drying markers with low odour, non-toxic ink provide continuously bold colours. 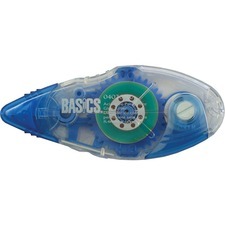 Wipes off whiteboards easily. Chisel tip.10/box. 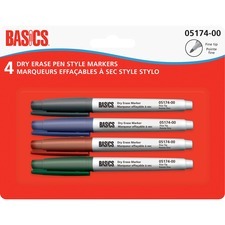 Quick-drying markers with low odour, non-toxic ink provide continuously bold colours. Wipes off whiteboards easily. 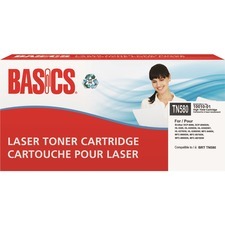 Chisel tip.4/pkg. 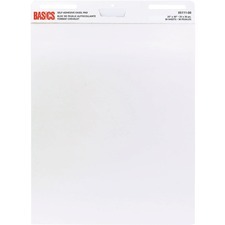 Basics® Self-Adhesive Easel Pads 25" x 30"
Adhesive allows easel size padded sheets to be attached to virtually any surface. Plain.25” x 30”.30 sheets per pad.4 pads/pkg. Low odour markers with non-toxic ink. Fine tip.12/box. 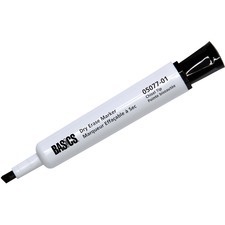 Low odour markers with non-toxic ink. 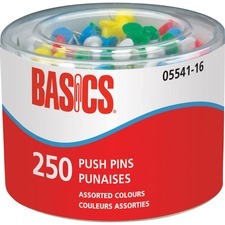 Fine tip.4/pkg. 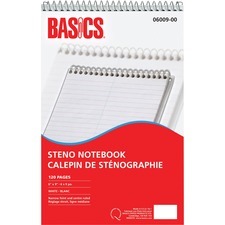 Basics® Steno Notebook 6" x 9"
Narrow feint and centre ruled. Flexible cardboard cover.Spiral bound at top.6" x 9".120 pages.Also available in a package of 10.